Without further ado (I know I’m late! I meant to release this in conjunction with Valentine’s Day, but Valentine’s came and went… sorry!) 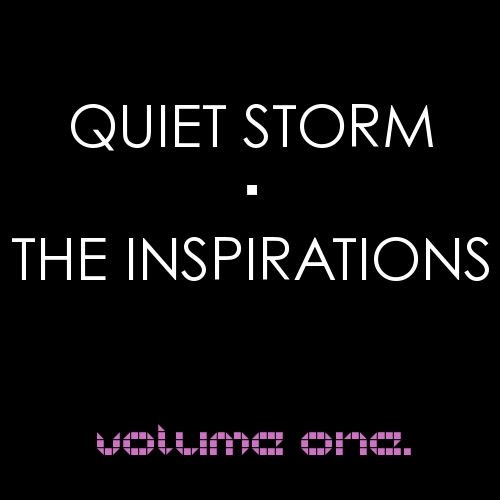 I present to you the third single from my album Quiet Storm, which you can preview here on my myspace and download from this blog post through Megaupload. The song is called “Come Home To Me”, and it’s a mainstream pop/R&B ballad incorporating elements of Beyoncé’s “Irreplaceable” and Rihanna’s “Umbrella”, as well as a ballad production inspired by The-Dream. Check out the song – I really hope that you enjoy it! Alicia Keys – The Element Of Freedom (album review). Alicia Keys’ new album The Element Of Freedom comes after her biggest success so far, As I Am, in a career which hasn’t had any troughs or lows to date. Every album she’s released, from Songs In A Minor to the present has explored depth and soul, has combined traditional elements of R&B with current, up to date production and lyrical exploration of love, loss and self-esteem in a genuinely mature fashion that is beyond Keys’ years. She’s consistently walked the fine line between critical and commercial success, effectively having her cake and eating it since 2002. Alicia Keys plays the piano like a professional, but is not an entertainer who hides behind her instrument – she takes risks, sings and dances on stage, and has always commanded respect with an element of political and social awareness to boot. So what does her new album bring to the table? Like Rihanna’s Rated R, The Element Of Freedom is impossible to divorce from the singer’s personal life context. Keys has suffered some backlash for her love affair with separated-but-not-divorced super-producer Swizz Beatz. Fans have turned away from Keys’ maturity and moral standpoints expressed in her material to date, saying that she was phony, that she was no better than the singers who dressed and acted like hos, and the lackluster success (i.e. it didn’t shoot straight to #1 as people presumed it would) of first single “Doesn’t Mean Anything” is perhaps because of this. Despite a simple yet effective video which sticks to the album concept of being free of material things and going beyond all boundaries, the song was solid but seemed like a softer retread of her previous hit “No One”. Nevertheless, especially since I’m certainly not in a position to judge Keys’ being in love with a man who is attached, the music is far from bad, and second single “Try Sleeping With A Broken Heart” as well as her collaborations with Jay-Z, “Empire State Of Mind (Parts 1 & 2)” seem to be coming closer to replicating her usual success. Here’s to hoping that The Element Of Freedom continues Keys’ string of successes. Alicia said of the album that “”The way that the songs progress are gonna take you on a natural high. I just want you to feel a sense of freedom, I want you to feel out-of-the-box, feel inspired, You’re definitely going to be taken on a trip, I know you’re going to be shocked, you’re going to hear things that you probably didn’t think that I would sound like. It’s a journey.” Some of this I agree with, some of it I don’t hear myself. “Doesn’t Mean Anything” and “Try Sleeping With A Broken Heart” both build to exhilarating climaxes, not because the music is especially bombastic (it’s anything but, though “Broken Heart” has a compelling drum loop that comes closer to bringing Kanye West’s 808 fascination into the 21st century than he himself seems to be able to manage). Standout tracks “That’s How Strong My Love Is”, “Love Is My Disease”, “Distance And Time” and closer “Empire State Of Mind (Part II)” all employ soaring melodies that propel the listener to think and to ride their own emotions; Keys’ production and piano backing compliment each song without ever taking centre stage (as happened on occasion in her first two albums). Its undeniable that Alicia Keys knows how to write a song, knows how to sing a song and knows how to express a song even with a voice that sometimes is limited – she wrings the emotion out of every syllable be it with a whisper (“Try Sleeping With A Broken Heart”) or a throaty, heartfelt plea (“Love Is My Disease”). So the album is solid – but is it really that different? As I Am saw Keys taking risks and incorporating traditional pop and even rock elements into her smoky R&B soul with stellar results (as well as a couple of lackluster songs), and that sound continues here, but in places incorporating 80s drums and synths – this sound is definitely in vogue (I still struggle to understand why), but at least Alicia Keys sounds less like she is pandering to fashion than most artists – again, this is tribute to her genuine musicianship. I find it hard to say that I am “shocked” by anything on this album – ok, for the first time her intro is a spoken-word explanation of the album title and concept rather than a pianist showcase. Her collaboration with Beyoncé, “Put It In A Love Song”, is fun and the closest Keys has ever come to club-ready, and Beyoncé’s voice and swagger doesn’t dominate the song as I might have feared – the two artists compliment each other perfectly and adeptly ride the compelling bassline. But here is where the surprises end – opening track “Love Is Blind” performs the same function as previous opening tracks “Go Ahead”, “Karma” and “Girlfriend”, in that they are uptempo, loop-driven productions that display the singer’s confidence before she delves into her vulnerability later in the album. “Unthinkable (I’m Ready)” sounds almost too similar to The Diary Of Alicia Keys‘ “Slow Down”, and while “This Bed” provides an interesting diversion on Freedom, its The-Dream-esque synths and piano are really echoing Prince (which is 80% of what The-Dream does anyway) – and Alicia Keys already covered Prince at the start of her career (“How Come U Don’t Call Me”). The album ends on a legitimate high with “How It Feels To Fly” and “Empire State Of Mind” exploring her ideals of freedom, exhilaration and expressing her love for New York – but she’s even played those cards before, at the end of As I Am (“Sure Looks Good To Me”) and The Diary (“Streets Of New York”). As stated earlier, the most interesting aspect of the album, lyrically speaking, is matching the songs to Alicia Keys’ newly revealed love for Swizz Beatz, never mind his marriage. Her feelings about it resonate through the titles – “Love Is Blind”, “That’s How Strong My Love Is”, “Love Is My Disease” and particularly “Unthinkable”. Lyrics such as “Some people might call me crazy for falling in love with you” (“That’s How Strong My Love Is”) and “I’m wondering maybe could I make you my baby / If we do the unthinkable, would it make us go crazy? / If you ask me, I’m ready” (“Unthinkable”) speak for themselves. Obviously, as members of the public there’s only so much we know about the situation, and only a certain percentage of that is remotely true – but the artists put their souls on a record and we can’t help but speculate, at the same time as we feel the songs and apply them to our own lives and emotions. So The Element Of Freedom is, generally, more of the same from Alicia Keys. It’s not nearly as risky as Keys herself might proclaim, and it’s not the best album of 2009, but it does provide some moments of genuine exhilaration, and there are plenty of strong tracks to make the weaker ones (“Like The Sea”, “Wait Til You See My Smile”) nothing to gripe about. What’s more, Keys has found some freedom in being brave enough to write about her love and experiences in a new way – and if there’s anything I’ve learned in the past three months, it’s that love is stronger than anything and I can feel most of what she’s singing about. Her piano playing compliments the songs without ever becoming a gimmick. And anyway, after all, if Alicia Keys is providing more of the same, she’s still doing a damn sight better than your average R&B chick. The lyrics are still simple but deep, the music is still soulful yet current, the songs are still well-written and hooky. I believe Keys has a better album in her yet (The Diary Of Alicia Keys is still my personal favourite), but I thoroughly commend her for not dipping in quality throughout the past 7 years.